The Laguna Food Pantry released a priority alert to federal employees and families facing financial hardship during the government shutdown. The Pantry invites people in need of groceries to shop Monday - Friday from 8 to 10:30 a.m. at 20652 Laguna Canyon Road. For more than 25 years, Laguna Food Pantry has been a safety net for anyone in need – seniors, laid off workers, students, individuals, and families who need free, fresh, nutritious food. --There is no fee to shop. All food is free. --Shoppers may shop once a week. 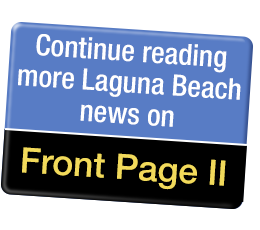 --Shoppers do not need to be a resident of Laguna Beach. --Shoppers do not need to show proof of income or citizenship status. --Shoppers are asked to sign in so that Laguna Food Pantry can keep track of patronage. For more information including shopping hours, volunteer opportunities and to make donations, please visit www.lagunafoodpantry.org.